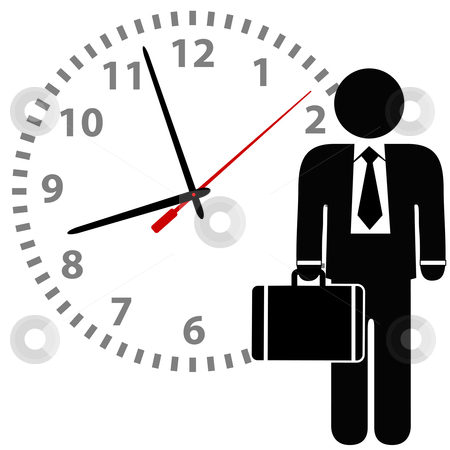 Many employers round the time of arrival or departure for non-exempt employees to the nearest five minutes, tenth of an hour, or quarter of an hour. Many of those employers have rounded time for years without thinking about whether doing so is legal. Recently, a number of class action suits have been brought against employers based on their rounding practices. Those suits have highlighted the fact that, while the Fair Labor Standards Act (FLSA) does allow rounding of time, there are very specific requirements that must be met to do so. The FLSA requires that employers pay their workers for every hour they're on the job. However, the Department of Labor, which administers the law, recognizes that it's impractical to count every individual minute of work time or to require that employees start and stop working on exact increments. As a result, the regulations allow for rounding as long as it is done neutrally or favors the employee. In other words, the employer must round up and also round down. Minute-based Method: The time clock would be set to pay in 5, 10 or 15 minute intervals. As an example, if the time clock pays by 15-minute intervals and the employee punches in at 9:07 a.m., the employer would round the employee’s start time down to 9:00 a.m. 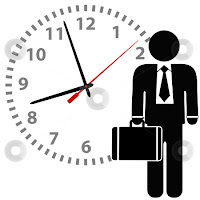 If the employee punches in at 9:08 a.m., the employer would round up the start time to 9:15 a.m.
Start-stop method: Another option is to round up in the employee’s favor at all starting times. Then, at the end of the shift, round down to the employer’s favor at all quitting times. Always Round in Employee’s Favor: Finally, you could choose to always round up to favor the employee. That practice would cost you more, but it would avoid all rounding disputes. Audit to Ensure Neutrality: Recent cases have shown that employers have an obligation to occasionally audit their payroll practices to make sure that the actual implementation of the rounding procedure is indeed neutral or favors the employee. As a result, employers should conduct regular audits to ensure that the process is neutral. Pay for All Hours Worked: If an employer is aware that an employee is actually working during the rounding period the employer must pay the employee for the time. Pursuant to the regulations, rounding is permitted "only where there are uncertain and indefinite periods of time involved of a few seconds or minutes."